The successor to Aston Martin’s DB9 was a huge gamble for its maker, which appears to have paid off. But with two engine choices available, which is best? When the late Victor Gauntlett, who was Aston Martin’s charismatic chairman between 1981 and 1991, was asked how he could make a small fortune out of the company, he famously quipped: “Start with a big one.” It was a perfect retort when referring to a storied, boutique manufacturer that has been bankrupt no fewer than seven times in its illustrious 105-year history. And Gauntlett was typical of the kind of enthusiast for the marque, whose love and devotion to it were unwavering. For many decades Aston Martin was a ruinous money pit but an utterly glorious one at that. It made very rich people weak at the knees and prone to decisions that must have had their accountants lost for words. Aston stumbled from crisis to crisis until Ford swallowed it up at the end of the 1980s and put some proper money into it but, even then, it never achieved the potential we thought (hoped) it had. 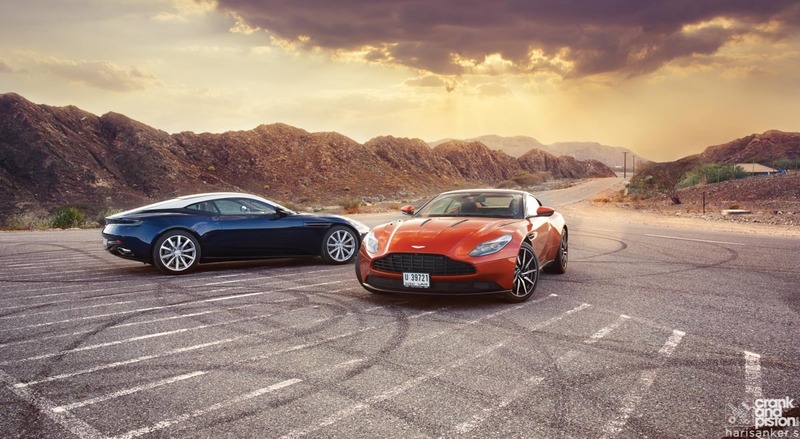 The cars that rolled off Aston’s factory line from that point continued to get better and better, while sales increased exponentially. 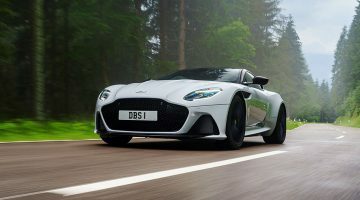 Virage, DB7, Vanquish, DB9, DBS, V8 Vantage, Rapide, One-77, Vulcan (let’s forget about the cynical Cygnet) – each one brilliant in its own right but each a flawed gem. wherever you are, you may be pleased to learn that the company you saved, nurtured and bankrolled, is now the fastest growing carmaker in the world. And the car that kick started this revolution was the DB11, which was only introduced a couple of years ago. Touted at the time as the most important new model in Aston Martin’s history, it was the first in a line of seven all-new products that Palmer had promised was on its way. Better in every respect, taking what made the outgoing models so special and reinventing them with added driver appeal and improved quality and reliability. 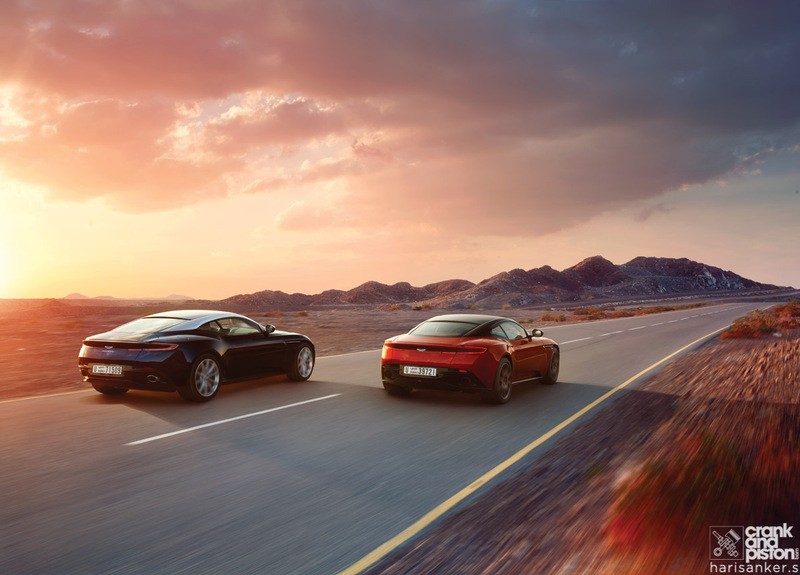 Within days of the DB11’s unveiling the company had a full order book for the next 18 months and, as a result, a much needed injection of cash that it would use to finish developing the V8 Vantage, build a new factory and prepare for production of the crossover DBX. Exciting times. 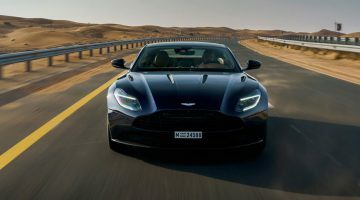 And hot on its heels arrives a V8, to widen the DB11’s appeal and introduce some subtle modifications that the company has developed to improve the original. Bentley did the same with its Continental and Flying Spur models to great acclaim, proving that, with technology as it is these days, reducing the cylinder count doesn’t necessarily mean a negative experience for drivers. In fact the Crewe cars were so good that most of us were baffled why anyone would want a W12 variant. So it begs the question: has Aston Martin scored an own goal by launching a car so good that the V12 is now effectively redundant? In some respects it’s a moot point because many potential owners would only ever be interested in the biggest, most powerful and most expensive option. For those more concerned with the way they drive, though, the only accurate measure would be provided by getting both together and spending plenty of seat time in them. Picking up one Aston Martin from the service centre in Dubai is an inestimable privilege. But two? Well it’s hard not to feel at least a little bit smug. And part of the magic of this brand in the Gulf is that, despite their desirability, their sense of occasion and their luxurious appointments, the cars remain a rare sight on our roads. When others do catch sight of our convoy, they stop and stare. Some smile, some shout their appreciation from moving cars. A new Lambo or Ferrari makes an entirely different kind of visual statement but somehow, as a reserved Brit, I feel far more at home in the cabin of an Aston Martin. From the outside there are just a couple of subtle differences between the two models, the most noticeable being the V12 badge applied to the front wings of the beefier version and four bonnet vents, while the V8 makes do with two. There’s no denying that the DB11, whatever its engine, is a gorgeous thing to behold, although the shape is remarkably colour sensitive. To my eyes it works best with silver alloys and dark body colour, with a roof painted the same. This blue V8 is, we all agree, the better looking of the two here but I’d still like to lose its silver roof rails. As for the complex shape of its body, there are a lot of intelligent aerodynamic aids worked into it. Air is forced out of the front wheel arches via the vents in the front wings, which reduces lift, while inlets incorporated into the C-pillars send air through the rear wings and out of the tail via an ‘aeroblade’ spoiler. It’s extremely clever and allows the overall lines to exist without vulgar spoilers or other addenda. Opening a door of this V12 provides a bit of a shock. Each to their own, obviously, but the almost luminescent orange interior treatment is retina scorching, its dashboard and rear shelf causing awful reflections in the front and rear glazing – it’s just too much, although despite the questionable palettes at work here, the quality of fit and finish is streets ahead of the DB9. There’s more space in the cabin, too, which is a massive improvement for long limbed occupants. The Merc-sourced switchgear looks good and, crucially, works perfectly, although the touch sensitive track pad in the centre console is a bit awkward. The rear seats are still suitable only for kids or short journeys and there’s double the DB9’s boot space, so some added practicality has been thrown into the mix.